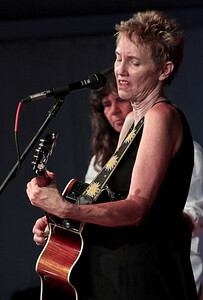 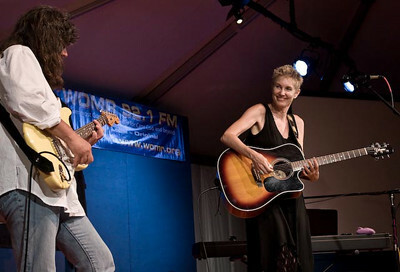 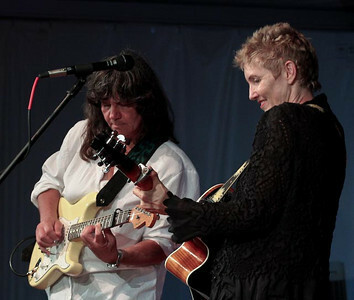 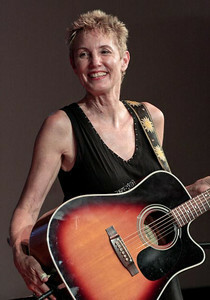 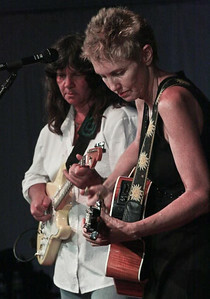 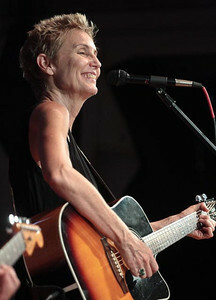 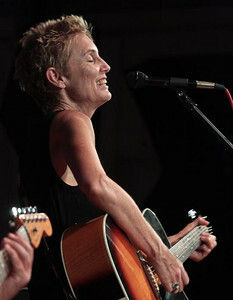 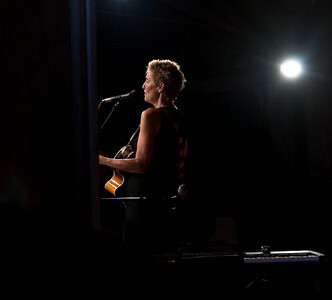 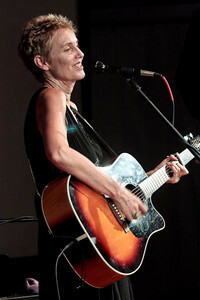 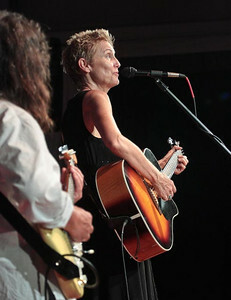 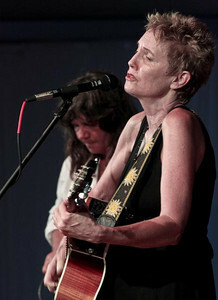 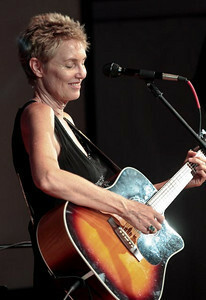 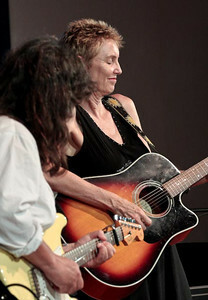 Eliza Gilkyson and Nina Gerber playing at the Payomet Tent in Truro, MA in a benefit concert for WOMR. 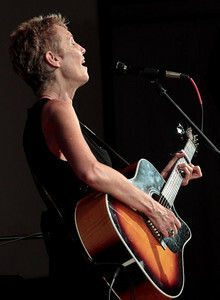 August 2009. 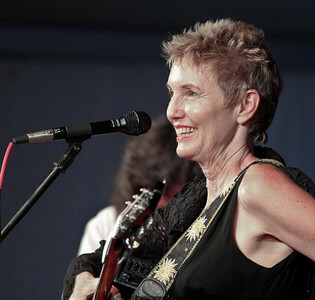 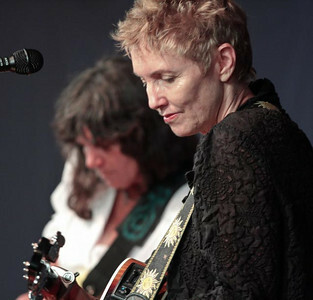 Eliza Gilkyson and Nina Gerber.